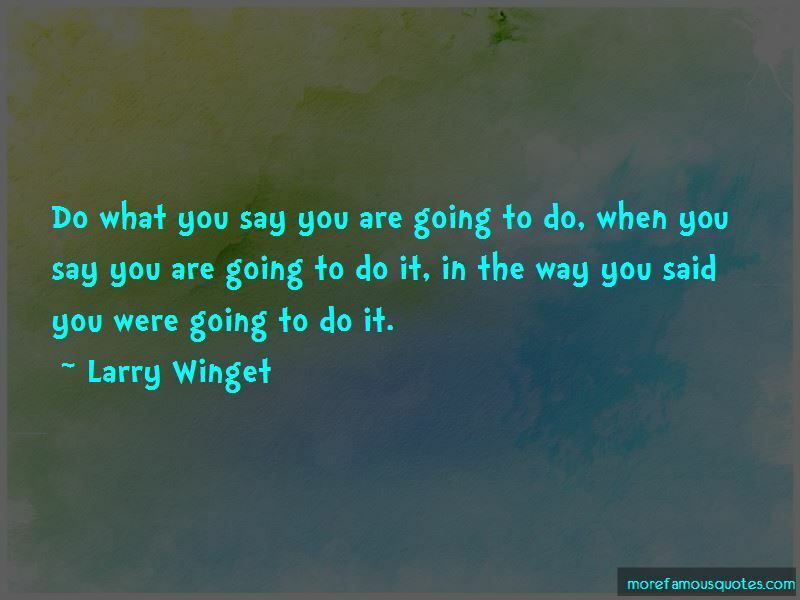 Enjoy the top 92 famous quotes, sayings and quotations by Larry Winget. Luckily, the truth does not care. 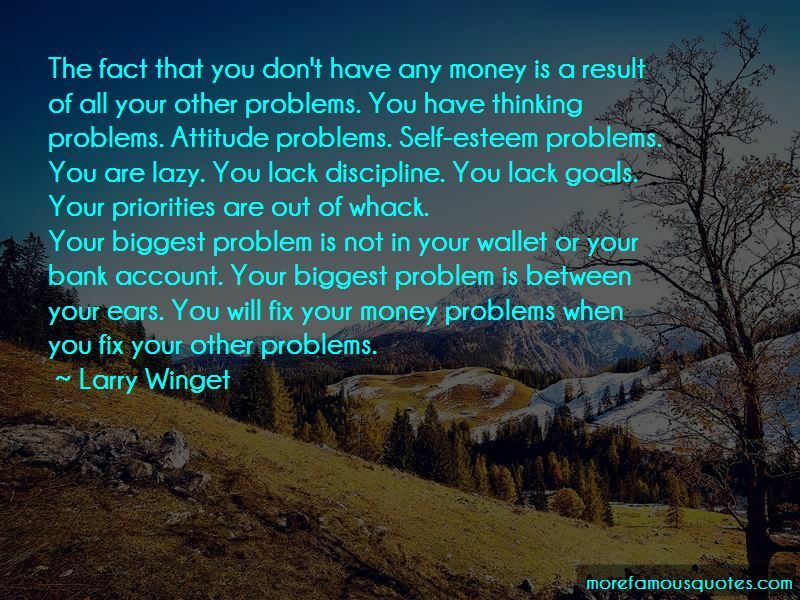 “The fact that you don't have any money is a result of all your other problems. You have thinking problems. Attitude problems. Self-esteem problems. You are lazy. You lack discipline. You lack goals. Your priorities are out of whack. If you are a good person who does good things when you have only a little, then you will be a good person who does even more good things when you have a lot. I think everything in your life's your own damn fault and that's my simple philosophy in that, and I think you're broke because you want to be just like you're fat because you want to be or stupid because you want to be or unemployed, it must be because you want to be. Otherwise, it'd be different. Everything has a price, including both success and failure. Choose either one and be prepared to pay the price. 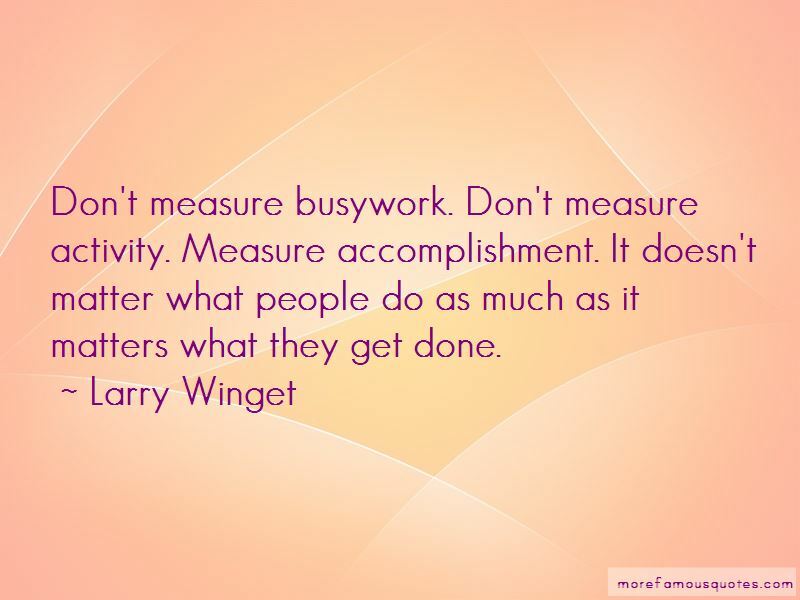 Don't measure busywork. Don't measure activity. Measure accomplishment. It doesn't matter what people do as much as it matters what they get done. I think one of the mistakes typically with authors is they have written more books than they've read. Learn what you are good at and exploit it in service to others. You can't have a bully without a victim. I think it's easy to get a book in a bookstore. I think it's just damn near impossible to get a book out of a bookstore. It is a solid business principle that people who enjoy what they do are better at what they do. Never build yourself up by tearing another down. There are two things you will never be without: One is your reputation and the other is your credit rating. If you don't have much going wrong in your life, then you don't have much going on in your life. I write titles that are confrontational. I write titles that make people want to pick up a book and find out more about it. I write good books; I write great titles though. I've read over 4,000 books in the last 20+ years. I don't know anybody who's read more books than I have. I read all the time. I read very, very fast. People say, "Larry, it's statistically impossible for you to have read that many books." Want to see more pictures of Larry Winget quotes? 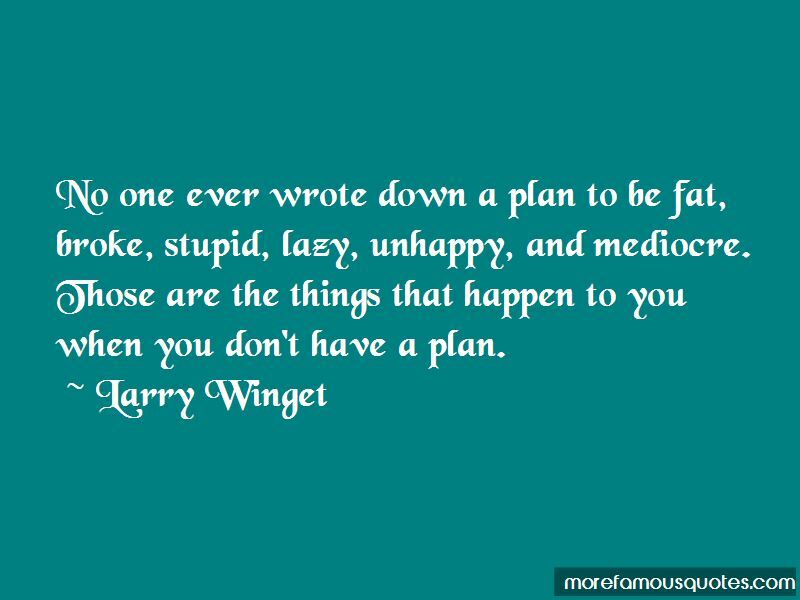 Click on image of Larry Winget quotes to view full size.